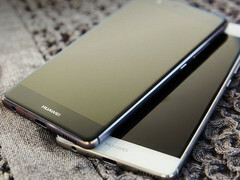 Since its release back in April, this flagship managed to ship 9 million units, mainly in its home market and in Europe. Huawei announced breaking the 6 million P9 units sold back in September. Huawei unleashed the P9 flagship back in April and, since then, things have gone pretty well for the Chinese company. The global sales figures of the Huawei P9 reached 6 million back in early September, but it took only two months to reach the 9 million mark. This spring, Huawei had to struggle to help speed up sales in various markets. However, the marketing efforts paid off - it appears that, next to its home market, this handset also performed well in Europe. Another reason for the excellent performance of the P9 since September might be the launch of the metallic red and metallic blue variants. Right now, Huawei is the third-largest smartphone maker in the world, right behind Apple and Samsung. However, the company's CEO, Richard Yu, recently revealed the plan to overtake Apple by the end of 2018. With the Mate 9 phablet ready to grab some customers looking for a Note 7 alternative, Huawei might be on the right path already.